If you are confused by the choice of tablets on offer, then here is a run down on what you should consider before buying a tablet. 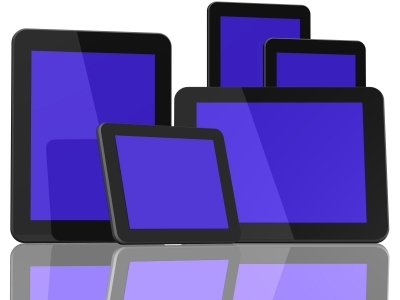 The future of consumer technology is very definitely getting more compact.With more people craving mobile internet, tablets appear to be a very attractive option. There are things a tablet is not suited for such as processor intensive jobs such as video editing and also tasks where a large screen and accurate pointing are required such as desktop publishing. There is no way this reviewer would want to type a homework assignment on one. I’m yet to hear of any one using a tablet as a server but I’m sure some geek out there will try. Will it replace my laptop, or my phone or even my desktop? If all the computing needs are basic; read the internet newspapers, and communicate with friends and relatives, perhaps to stay in touch with the grandkids then I would have to say don’t hesitate to get one. They are much easier to use and easier to maintain, not that there isn’t a learning curve. It is also much easier to install software, now called apps, onto these devices. The Asus Transformer Infinity with an impressive Full HD Screen that’s viewable in Full Sun and up to 14 hours battery life. Even small tablets are a bit large to shove in your pocket or up to your ear not that it hasn’t stopped this writer from making VOIP calls on it. Actually it was better than the mobile phone as it automatically used speaker phone. Open any electronic, computer or office catalog and they are devoting a page to just tablets where they used to put desktops or even laptops. Go in the store and walk down an aisle of them. So which is a good one? Obviously the larger screen size makes it easier to work with when entering appointments on a calendar, or reading non mobile websites which are typically 1024 pixels wide. One of the tablets best abilities is to be able to zoom the text to large or small or anywhere in between. This is fantastic for those of us who are at that age when ones eyesight is not as it once was. Reading on a tablet is a pleasure, except when rolling over in bed onto your side and the tablet figures up is that away and puts the tablet in landscape mode but there is probably an app for that too. Tablets typically come in either 7″ or 10″ size which may sound small when compared with most laptops but the 10″ is more than adequate. There are also larger models that go up to 15″ such as the Dell XPS with the swivel screen but they start to feel heavy. The 7″ is the more economical size. Don’t buy it. You will regret it. If it will not fit in your hand bag that just a good excuse to buy another hand bag. Screen size is not the only measure of a display. There is also number of pixels. Not all tablets are full HD 1080p which is 1920 x 1080. Then there’s screen brightness. Reading in full sun light requires high brightness which very few manufacturers offer. 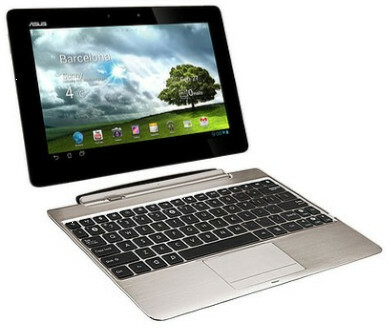 The Asus Transformer Infinity (not the T300) is one tablet that does. When it comes to operating systems there is Android, by Google, Windows 8 and Windows 8 RT, from Microsoft. At this point the other operating system, IOS, from Apple and their products should be discussed. Unfortunately this reviewer has nothing good to say about Apple or its products and so shall refrain from further comment. Windows RT is an operating system that, to all intensive purposes looks and feels like the new operating system on desktop and laptop computers, that is until the user tries to load and run a favorite PC program on it. Windows RT will not run traditional desktop or laptop programs. This, in this reviewers opinion is a monumental error on Microsoft’s part especially as there is a true and proper Windows 8 OS on high end tablets. This reviewer also thinks manufacturers may have a legal issue to deal with as it isn’t always clearly stated which tablets have the RT version. It wasn’t that long ago that Apple lost a case to the ACCC about the iPad 4G being misleading as it didn’t in fact operate on the 4G network in Australia. So, if you absolutely must be able to run your treasured Windows application on your tablet as well, then a Windows 8 tablet is for you. That’s not to say Android cannot run windows but it is more difficult. There are also office Apps on Android that will open, edit and save MS Office documents. Android is a popular choice and has become the dominate operating system on mobile devices. It has the largest number of Apps available. As it is created by Google, it is inherently linked to your google account and this make syncing your data (calendar, task list, and gmail) very easy. Not all tablets come with a 3G or 4G phone data connection. Many only have Wi-Fi. But who actually needs a phone data connection when most mobile phones have a tethering function in which the phone can act as a wireless hub to share the phones data connection, saving money on having two data connections. So a 3G or 4G data network connection on a tablet is not a necessity. Some tablets come with an external keyboard. Some of these keyboards house additional batteries which extend the battery time. 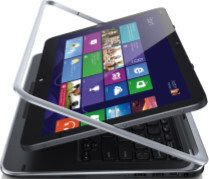 Some tablets come with USB ports which may be able to take a standard keyboard. Some tablets come with built in Bluetooth which could be connected to a standard Bluetooth keyboard. Having said all that the on screen keyboards are very good and with practice more accuracy is attained. This blog post was written using the on screen keyboard, but it was edited on a PC. There are a number of different keyboards that may be downloaded, so you should be able to find one with which you are comfortable. But if the intention is to write a novel, get a laptop or better yet a desktop. These days 1G of RAM is desirable. 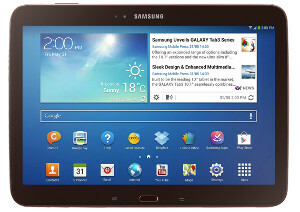 Tablets also have memory for user storage (think of storage like a hard disk). It is up to what the tablet will be used for. The apps will not use up the storage but the data that is stored on it will. If the intention is to keep lots of video or stacks of music on it then 32GB or 64GB may be better. Manufacturers will list this as 1GB RAM and 32 GB User storage. Some tablets have USB, some have a mini USB connection. These ports may be able to be used to increase the memory or add additional devices such as keyboard, mice, game controllers, or data connectivity. USB is really a must have. MICRO SD is the best way to increase memory, as the card will slot right the way into the tablet without protruding like a USB stick would. It is very handy for transferring large amounts of data from your PC. For some this may be one of the more important specs. Tablet battery time can be from four hours to fourteen. The longest battery times are due to having a battery in the keyboard as well. In the case of the Asus Infinity tablet, when the tablet is docked with the keyboard, the keyboard battery will charge the tablet without being plugged into the wall. It should have two Cameras. One rear facing for taking videos and photos, and one capturing the user for video conferencing such as Skype AND Gtalk. Some tablets, such as a Samsung Galaxy Note 10, will come with a stylus. On other tablets a stylus may be available an accessory. Having just upgraded from a tablet which only had stylus input, no touch, the stylus isn’t missed. The only time it is really needed is to sign an electronic form such as a PDF. It could be used for writing notes but even the on screen keyboard is faster and neater. What about just buying an eBook reader like a Kindle? These have great reviews and many people have both and swear by the eBook reader for reading due to the electronic ink being easy to read. Having purchased a top of the line tablet this reviewer wouldn’t swap, after all why have two devices when one really good one will do both jobs. Tablets can also get Kindle apps if they aren’t pre-supplied. What I really want is a tablet for the kids? Buying a tablet is not like buying a custom PC. You can’t buy this memory with that processor. It’s an all in. So the purchaser must decide what specs are most important and the rest becomes either a bonus or tough luck. And then there is the cost. But for many people a tablet will replace a desktop or at least a laptop. February 19, 2014 in Phones & Tablets.